It’s hard to believe that it’s been 4 months since my last things I’m loving lately post. Apparently, I wasn’t too excited over anything in the winter! Not surprising. Here are a handful of things I’m loving lately…feel free to share yours below too. I don’t buy goji berries often due to their steep price, but they are fun for a treat now and then. And boy do they pack a nutritional bang for their buck! 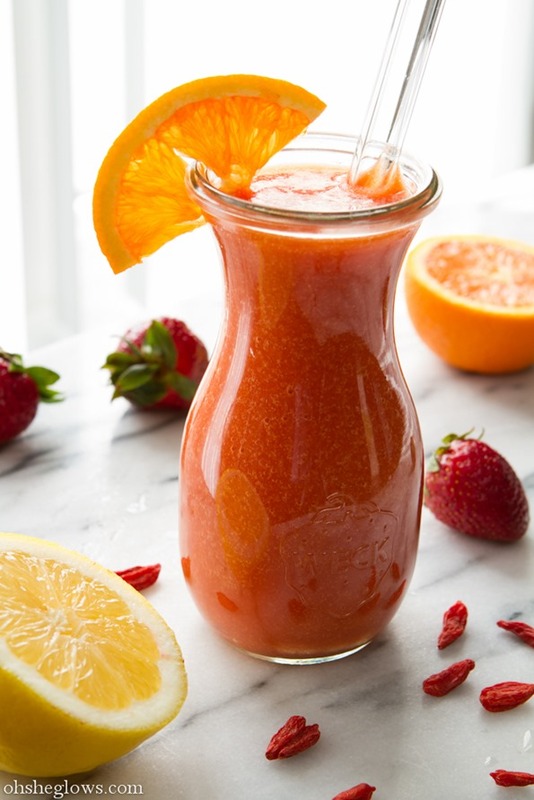 This particular mix above is made up of a 1 whole seedless orange (peeled of course), 1 tbsp soaked goji berries, 1/3 cup soaking water, 1 tbsp lemon juice, 3/4 cup strawberries, coconut oil and ice. A vitamin C powerhouse. So far I’ve been able to keep 2 mint plants alive for the past few weeks (knock on wood). I love adding a handful of mint leaves into my morning smoothies for a fresh pick me up. Just one more way to sneak some green into your day. These are just about the simplest crackers on earth. The ingredients list? Organic buckwheat. That’s it. I admit, I’m not a huge fan of the flavour of these plain, but they sure are great dipping vehicles for hummus and guacamole. When I posted this on Instagram the other day, a lot of you were curious about it so I figured it was worth mentioning. 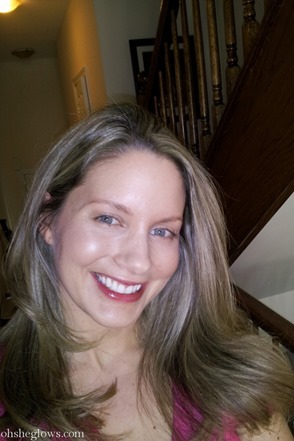 I’m wearing the homemade gloss in the pic below – the beet juice gives a light berry stain and the vitamin E oil works as well as a clear gloss. You could also use coconut oil, but it won’t give you that lasting sticky shine. All you do is cut a small piece (maybe 1cm x 3cm) of red beet and then rub the cut side (juicy part) of the beet all over your lips until it looks evenly distributed. Top with a thin layer of vitamin E oil all over your lips and smack ‘em around to spread. The key is to make sure your lips are not dry or cracked before putting on the beet stain or the juice will settle in dry patches. Can it be blended into a pre-made mix? I haven’t tried it yet, but I’d like to. I assume you’d have to extract the juice and then mix it with the vitamin E oil in a small jar. Does it last long? I’ve never found any lip glosses to last very long, so I’d say it’s about the same. I finally took the plunge and bought my first bag of sprouting seeds! Well, make that a year ago. They got shoved to the back of my cupboard and forgotten. I absolutely love sprouts on wraps and salads so it’s time I started making my own. I’ll try to report back once I’ve gotten the hang of it. I checked on them this morning (see below) and I’m seeing the first signs of germination. In workout news, I recently made a second batch of Maple Butter! There really are no words to describe how good this stuff is…you really just have to taste it for yourself. In other workout news, I love (to hate) this app – not only is it simple to use, but it’s the only thing that can force me to do 4 planks in a row! Well, make that 3 planks in a row because I usually skip the last one. You can specify the plank duration, rest duration, and how many sets (does anyone actually do more than 1 set?). I like to spontaneously drop on the office floor for a mid-day plank assault! Arrrrrr. It’s probably the worst 3 minutes of my day, but it just works so good and cursing like a sailor really helps with the pain. What foods, products, or apps are you loving lately? Share below. Even though ab work takes up much less time than the rest of my workouts, it’s easy to skip it – I’ll have to check out that app! I can’t find anything on the web about Zen Budda. It just directs me to a corrected spelling. I’ll keep trying. I am definitely intrigued by the Zen Budda! I found it online a couple places, like here: https://www.upayanaturals.com/ProductDetails.asp?ProductCode=DRF-008, but shipping to the US is way expensive. I would totally sprout things around my house, if I weren’t afraid of the “distinct old man smell”, as Creed puts it. one more try, and i found it. 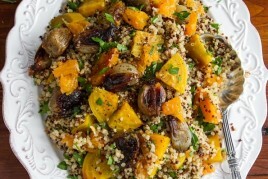 There’s a couple of great recipes on Zero Waste Home (http://zerowastehome.blogspot.com/2010/03/zero-waste-recipes.html). The author has beet-based lip/cheek stain and a vitamin E balm recipe, along with some other good homemade beauty products, cleaners and kitchen staples. Where do you find the Zen Budda? Would love a link! 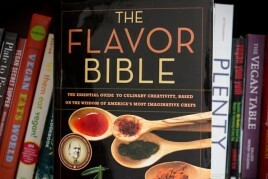 Or perhaps it’s a future copycat recipe??? I used to be so intimidated by sprouting but I got myself a metal gauze attachment for my mason jars and it works like a charm. I have fresh, beautiful, crunchy sprouts for a fraction of the cost of the store-bought ones. Hi Angela, goji berries are the same as wolfberries, which you should be able to get for cheaper at Chinese shops/medicinal halls. I grew up eating them in soups (they are traditionally believed to be good for one’s eyesight) and was amused to see them become a health fad. Doesn’t seem like they sell in the US though :((( One more reason to make the trip up North! I’ve been looking for an excuse to take the 4 hr drive to Toronto! Using beet juice and vitamin E oil as a homemade lip gloss is brilliant. I’m guessing that the beet juice alone could be used as a lip stain? Homemade products that avoid gross chemicals and are simple to create are my new obsession. Thanks for the inspiration! The Zen Budda looks amazing, I can’t wait to try it! I agree Angela, planks are the WORST! Ooooohhhh, I LOVE mint in green drinks. IF you can find it, there is a chocolate mint plant that is an awesome addition to green drinks. Mine has been very hardy in zone 5. It’s not quite as hardy as my regular mint, but it still faithfully tries to dominate one part of my garden. Chocolate mint leaves. To die for…..
Mmm… that orange and goji berry smoothie looks delicious! I’ve been using the Sworkit app lately. It has lots of create your own workouts that need no equipment and they’re kind of fun! 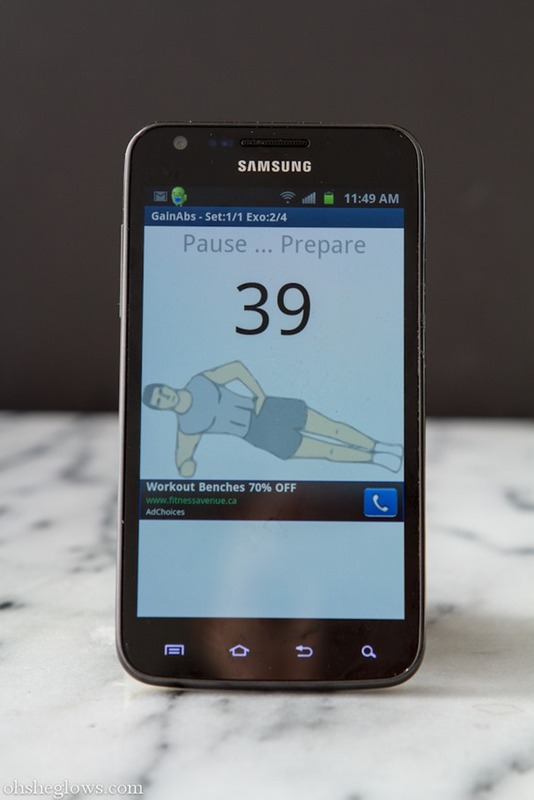 I looked for the Gain Abs app and couldn’t find it on my Droid :( There were many other apps though, I suppose I could try one of those in addition to my existing core/ab work outs. I found it by searching “plank exercises” I think – try that and see if it comes up! We are really into smoothies lately, one every morning and I really want to try that one. Never tried the Goji berries before. Love mint with Mango juice, one of my fav. drink in the summer with a lot of ice on a hot day. Isn’t that a nice thought we are (yet again) going to have snow tomorrow!!?? You look as radiant as ever!! I just got a new workout app called “Sworkit” that sounds similiar to the one you’re using. You can pick a type of workout (core, arms, lower body, cardio, yoga) and then the amount of time you have and voila – you have a hand-picked workout. Easy to start, hard as hell to complete! I’m loving Yoga Studio’s app. They have many different levels, styles, and durations of yoga routines, and what’s even neater is that you can build your own routine based on other routines you’ve learned or your preferences using basic building blocks that they’ve pre-created or the individual poses. Very cool motivator when you don’t have the time (or money) to religiously go to a yoga studio! This also sounds great, hope they have it for droid! That lip gloss is so cute! I’m going to do another batch of chocolate mint this year, it was heavenly in push pops last year! These are all great! I started sprouting chickpeas a couple of years ago and couldn’t believe how easy it was! Need to do another batch. Lately I’ve been loving Indian food, sweet and savory combos, and the Full Fitness app to track my lifting workouts. Ooo I love your spring picks and favorites (which some are turning into mine as we speak!) especially the mint and goji berries in smoothies, thats my favorite. I’ve never heard of the gain abs app, that seems super fun. Some more spring favorites of mine are citrus juice “ice cubes”. Thanks for sharing Angela! I’ve been loving getting back into fresh salads now that we’re out of winter. I usually prefer soups and warm salads in the cold, so I’m enjoying the simple pleasure of raw leafy greens! What a great list, I haven’t tried most of these! I’m looking forward to trying fresh mint in my smoothies. Mmm… the goji smoothie looks really delicious! Still trying to get up the courage to try mint in my smoothie. I have a big plant of it but… I’m worried about it in smoothie. Will do that soon! Sprouting is my FAVORITE thing! You can get cheap bags of regular beans at any grocery store and sprout them. It doesn’t have to be fancy for anyone wanting to try it on the cheap. As for that wonderful app, it isn’t on iPhone so bummer. However, I am totally loving OmVana lately… FULL of wonderful meditations, totally free and has a “mixer” option that is great. Check it out! Dang, that’s a fabulous list! That juice looks heavenly, I LOVE goji berries! Zen butter?! YUM… I’ve seen it, but it hasn’t made it to my basket yet ;) I’m trying to get my plank on as well, through Purely Twins… they’ve got some killer workouts and the abs to show for it. I LOVE mint in smoothies and in juices. I shove a whole bunch in my juicer sometimes and it just freshens up the whole drink. My roommate is from Toronto and he said he would go into Quebec just to get this amazing maple butter that he couldn’t find anywhere else. I’ll have to send him your recipe! Too funny – I did a 4 things im loving lately post today! ;) It’s a combo of a non-slip headband, crazy neon socks, a fitbit zip, and photo processing app for the phone. I’m going to check out the zen budda spread now – that sounds delicious! You inspire me to grow things! I was always fond of your posts when you used to live in your house with the beautiful deck and garden. I seriously need to test out my green thumb now that I live in Northern California which is such a great environment for it. Thanks for sharing all of your favorites and I MUST try the maple butter. Oh my…drooling. I’m loving this post. I LOLed at several of these. Thanks for being here. YOU ARE A GODDESS. Any tips on learning to love sprouts? I love to grow them, can’t stand the taste. Every few months, I find my stash of seeds and say ‘Hey, I should sprout!’ Then I do, enjoy watching my seeds come to life, then taste them and say blaaahhhhh. I’ve tried them on salad, in sandwiches, in smoothies… any suggestions? anyone? Hi Sally, Have you tried seasoning them? A little Herbamare and pepper sounds like just the thing…or maybe your favourite dressing or sauce? I’ve never tried goji berries, how long would I need to soak them? Thanks! What foundation do you use? Your skin looks beautiful! Thank you! I use Bare Minerals powder right now. I’m pretty happy with it except it can feel a bit drying at times. I expect I will enjoy it more in the hummid summer months. Have you heard of fitocracy? The community there is knowledgeable, super friendly, and extremely supportive. Also, there are some awesome vegan groups! I just joined, and I’m definitely loving it! No I haven’t but it sounds cool, thanks for the tip! And the Maple Butter…swoon. Thanks for the reminder on that one! 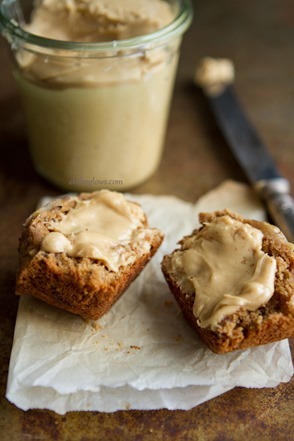 I love homemade nut butter or butters of any kind. I would devour that! hah yea I had a bad run in with some lowlights not long ago – this was the fixed version. You don’t want to see the before!! Loving ALL of these things. I need to start incorporating mint into my smoothies again- it’s been too long! Now I am craving maple butter and green smoothies, thanks for sharing! 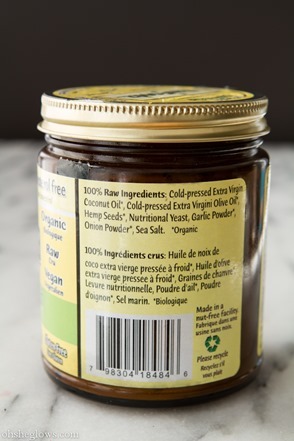 That buttery spread sounds awesome, especially if it is made with coconut oil! I need to try that ASAP. Wow everything looks so good, especially the homemade maple butter! I like how you include so much great information to living a healthier life. It’s so important to eat healthy because being healthy always makes you a happier person! oh my, that website! too funny. Ooh great roundup Ange! 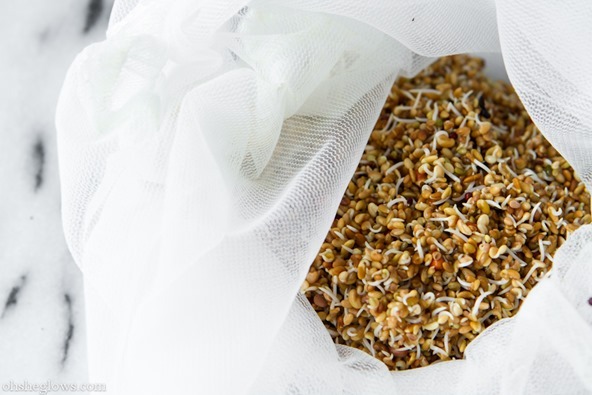 :) This post reminds me of all my fave things to do in the spring, like sprouting seeds and growing my own herbs. (I’ve heard that basil is the most temperamental, so perhaps mint is a little less maintenance? If so, I’ll give it a shot because basil doesn’t last long when I’m the gardener!) Lately I’ve been loving avocados and coconut flavoured things. Both of these baffle me because up until a couple of months ago, they were both foods that I wished I liked (for the health benefits) but really didn’t enjoy at all! This winter has done funny things to my taste buds! I love those buckwheat crispies…I have digestion issues and find that my body tolerates these very well! What a great list. 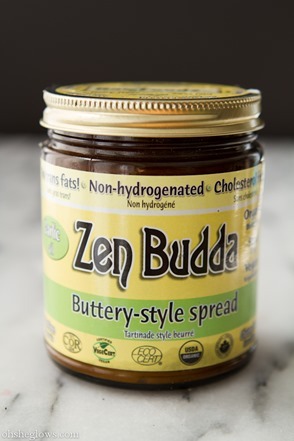 I am very curious about Zen Budda spread! I might even try making it just based on the ingredients list (or wait for your recipe). I’m loving spring weather. In the food department, I realized this week that I liked acai berry puree in my smoothies (though I think I’d prefer a powder, or whatever form that doesn’t have added sugar/cane juice/syrup). I also realized recently enough that I like Finn Thin Crisp Crackers (particularly the caraway ones). They’re thin, flavorful, and great for digestion (though I don’t think they’re vegan. I’m vegetarian, but don’t eat dairy often). Ab workouts and smoothies. You have inspired me to spruce up my garden a bit this year, and grow my own ingredients! Still hate the abs work but thanks anyway. i’m so inspired now! love this post! p.s. is that app just different planks the whole time? 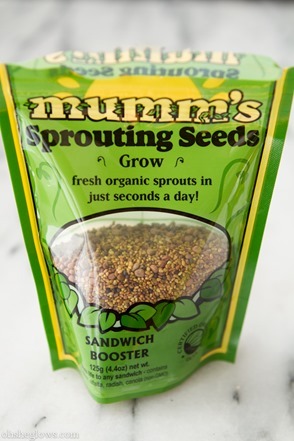 I don’t know if anyone else has said this or if you already know, but you don’t need to get ‘sprouting seeds’ to sprout things. Just soak anything overnight, put it in a sieve over a bowl to catch the drips and keep it damp but not wet, and rinse it every day until it starts to sprout. You can sprout seeds like sunflower seeds, chickpeas, buckwheat, all sorts of lentils (but not split ones! ), and grains. It’s probably cheaper than getting seeds that are marketed especially for sprouting. Your smoothie looks so summery! If only it looked summery outside… I can’t believe there are ice storm warnings today! Lately I’m loving Nud Fud (raw vegan crackers from a company in Toronto – they are addicting!) and fresh figs. Am loving the ap ‘myfitnesspal’. It counts your daily calories as well as accounts for any exercise you have done. It becomes quite addictive in the sense that you want to log in daily to see how you are tracking. p.s loved the goji berry smoothie recipe. Loving this great list. I actually put mint in my green juice as well and it totally adds a ZING! Will definately try the maple butter and look for the Zen Budda . 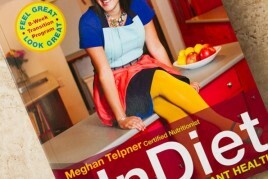 Love your posts and can’t wait to check out the new wellness book. You do GLOW! You go girl!! Oh please share the amounts of orange, strawberries and lemon in that gorgeous smoothie??? I need to try it! Thank you. What a wonderful website. I did in the post :) enjoy! What a fresh looking smoothie! I will have to try that maple cream after my sugar detox! I love growing sprouts! Thanks for the reminder. My favorite website for sprouting is www.sproutpeople.org Tons of information on things you can sprout, seeds, kits and my FAVORITE is the videos to help out. I’m going to sprout tonight! Have you tried the salted version of the crackers (green packaging), they taste a lot better in my opinion, though I love the plain ones too. They also have chestnut flour crackers that are just amazing (but sweet). Too bad I can’t find affordable and good quality maple syrup in France, your maple butter looks delicious! not sure if someone has mentioned this in the comments yet, but you should check out asian markets (chinese specifically because i know they use them) for goji berries. they’re WAY cheaper there. goji berries are a normal ingredient in chinese cooking. Wow, the beet juice makes WAY more of a visual impact than I’d have thought it would. Very pretty. I am completely addicted to sprouting! Got organic wheat (for wheatgrass), broccoli and sunflower sprouting in my kitchen right now. And like you, I have been using mint and goji berries more lately – just made a juice yesterday that was delicious: pink grapefruit, blood orange, carrot, ginger, mint. Yum! I’m tempted to give making maple butter a go whenever I see you post a photo of the luscious spread. Too bad maple syrup is so expensive, otherwise I’d be making jars of the stuff! I love mint in smoothies! It gives them such a great flavor! I need to try the maple butter…sounds amazing!! Still stalking and loving your blog, Angela! Lately I’ve been doting on maca powder, matcha green tea powder, and raw cacao powder in my daily smoothie(s). Hurray for superfoods! I’ve also tried the goji berry trick and your post reminded me that my stock is empty! I can’t get enough of raw kale salads marinated in a dressing of apple cider vinegar, tahini, nooch, and whatever spices are tickling my fancy that day. Throw some roasted root veggies on top and I suddenly become a bottomless pit. Sounds like we love many of the same foods! So glad to hear the PB crispies were a hit…thanks for making them! lovely post Angela where do you get the buckwheat crisp breads at? Beet juice lipstick..looks great on you..how creative! Aw, thank you Janna that means a lot to me! The gain abs app sounds interesting. I haven’t heard of yet. I’m going to download it so I get my plank on too. 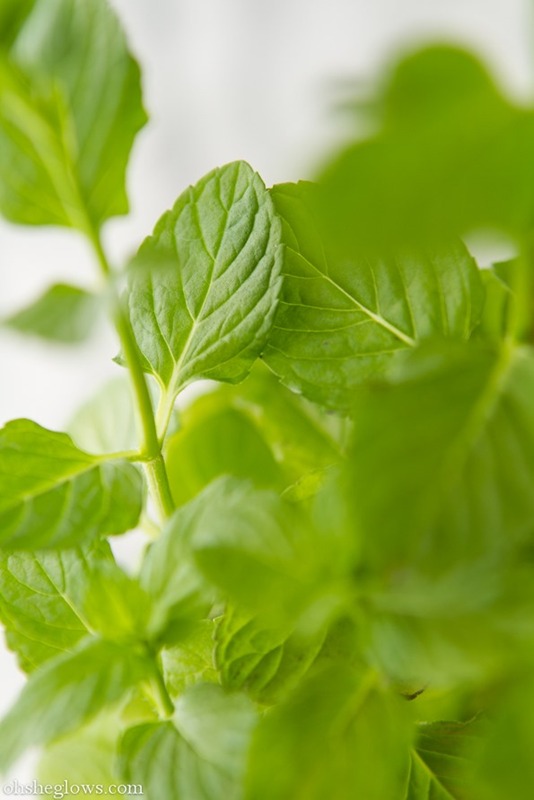 I’m love fresh mint lately too… in mojitos ;) I love your beet lip gloss, great idea! The Buttery Spread looks awesome. Please re-make it!!!! I recently discovered the taste of hemp seeds. The only way to describe it is luxurious! I just pulled out my vitamix from a long winter of not using it and made my first sprouts in awhile. Spring always helps me eat cleaner. Where do you get the Buckwheat Crispbread crackers? I buy them at Organic Garage, enjoy! Isn’t fresh mint amazing :) and the homemade maple butter sounds tasty! Bwa ha ha! My version of “cursing like a sailor” involves shouting out “happy place” things: “silence!” “free time!” “cara cara oranges!” “Seeing my kids drink a green smoothie without whining about or spilling it!” Planks, man. I hate them, but I LOVE them. Do you know wild garlic? It’s in season right now and I love it! I was JUST thinking about how I’d like to get some goji berries (price is what keeps me from them often, too!). I also would like to try my own sprouting seeds. Can’t wait to hear how it goes for you and then hopefully you have some tips, and then I can try this spring/summer! Just love this post! I’m so doing the Homemade Beet Lip Gloss. It looks great! I’m sending a big plea for you to figure out how to make Zen Budda!! We have gluten, dairy and nut allergies in my house, so this would really solve some problems for me! Thanks for all your delicious posts! Thanks for lovn the Zen Budda! We work really hard to create great products for you all! Coming soon to the U.S! Workout applications are really great! I was several at home, on my iPad. The goji berry smoothie looks so beautiful. I am definitely going to make it! I don’t love smoothies in the winter and so it had been about half a year since I’d had them at all regularly – but lately I’ve been on a total smoothie kick! I’ve had one almost every day, they’re so good now that the weather is warming up! 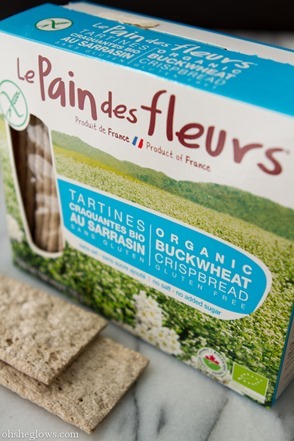 I bought the lePain des fleurs quinoa crackers. I absolutely LOVE them. Like you said, they don’t have much taste alone, but with nut butters or another type of topping, they are delicious. I’m on my second box. Will have to try the buckwheat. Love the beet lipgloss tip. Will have to give it a try. Thanks. 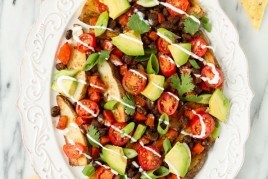 Thanks for your great recipes and tips, I always feel motivated to make healthier choices after reading your blog. I just made that smoothie and wow! It was delicious! Even though I have had goji berries before, I never really noticed their flavor until I had this smoothie, where they definitely had a punch. Thanks for the tip with this great smoothie! So interesting the beet homemade lip gloss! I drink beet juice, but never thought of using it as a lip gloss :). Great idea! That citrus/strawberry/goji berry smoothie is amazing!! I just made it after yoga to tide me over while I’m waiting for dinner to cook :) thanks for the recipe! !